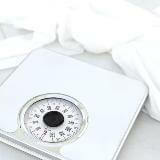 Online calculator to convert kilograms kgs to pounds lb and ounces. Also conversion from stones, pounds and ounces into kilogram or grams calculator. Enter the value of kilograms in the first text box. Press the Get Results button. Enter the stones, pounds and ounces in the top line. Click on the Get Results button. Kilogram results rounded to 3 decimal places. Answer also available in grams.